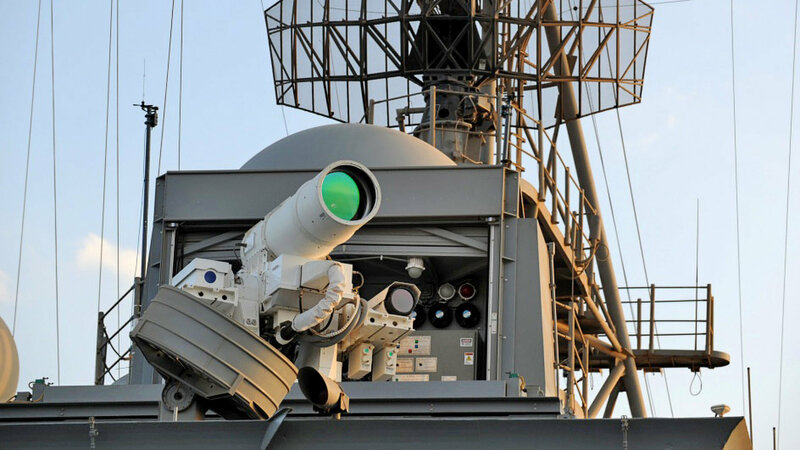 The US Navy is set to field a new and powerful advanced weapon called Laser Weapon System. or LaWS. It was designed to defend US Navy ships by blasting the targets from the air and sea with its high-intensity light beams. Lasers, however, are examples of innovations that were not conceivable up until the 1960's.The initial drive to build laser weapons wasn't to make ray guns - it was to help people make phone calls. It was not until fiber-optic and low-priced laser diodes became accessible that this technology could be utilized in assembling weapons according to specialists.The newly developed weapon is located on the USS Ponce, which is currently deployed to the Persian Gulf, is said to be a 33 - kilowatt laser wherein it can fire several beams that sums up to 100 kilowatts. The US Navy aims to test a 150 - kilowatt version within a year.According to the US Navy, lasers use only little power, which means that it is cheaper to use and maintain, unlike the missiles which can cost thousands of dollars each. During the testing, Rear Admiral Matthew Klunder, chief of Naval Research, said that "There was not a single miss." However, don’t expect to see colored laser blasts like in science fiction movies when the weapon is fired. The Navy’s laser ray isn’t visible to the naked eye because of the infrared spectrum.Want to know more about this awesome device? Follow this link!